It is light and fly well, even beginners seem to be able to master it. There is no problem with swinging and handling at all, and it is a well-organized impression entirely. But it may be too light for over medium players. I never get struck by the impact, I feel a solid shot feeling. Yutaka	（Experience：６〜１０ years）	I am not tired even in a long rally. My favorite one is Mizuno Lumina Sonic VS Tour. Ease of use is outstanding. It is lightweight and easy to handle by hitting a solid smash and easy follow-up. It is easy to control even in aimed areas and it is hard to get tired even for a long rally. Shuichi	（Experience：１１〜２０ years）	It is possible to combine powerful shots and tactics. The shot feel is soft, light, easy to swing, it is characterized. Although it seems to be an attack type at first glance, it is a versatile racket that is easy to hit even small skills. Even with a relatively light power it flew away and it's hard to get tired so it's not a problem for long games. I did not feel anything like a fault. karz	（Experience：More than ２０ years）	Even a long rally fly well with less fatigue. I think that the head is quite lighter and the shaft is hard, but I think that it is a light racket and a good sweater, whatever it is. I bought it as a store clerk if it was a commitment to speed & technique. Even a long rally fly well with less fatigue. If anything I think it's good for power hitters. Toy	（Experience：１１〜２０ years）	Lumina Sonic is attacked by cancer. Mizuno Lumina Sonic VS Tour is currently used in the game. I chose a stiff shaft because I myself want to attack the gangs with power. Moreover, because it is lightweight and swinging is also good, it is aggressively attacked. I feel a sense of comfort left in the hand clearly feel the feeling when hitting the best at hitting. For power hitters it is recommended. 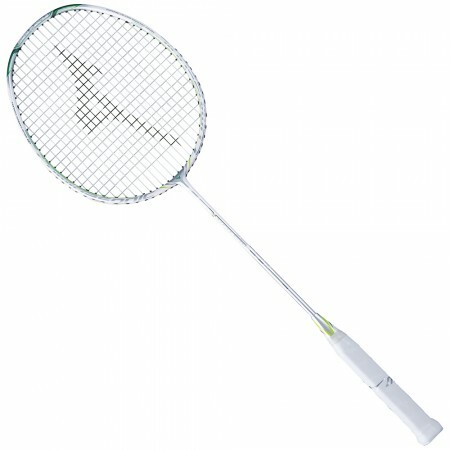 The feature of this racket is three points, light, fast, easy to swing easily. I think that it is a racket that fits people who emphasize speed and technique because it can hit a powerful shot from a small form because of its lightness. Even though it is a lightweight model, the power of the smash and receive is hard to fall down, I thought that there is a feature in the point that it is easier to control according to my aim position. Since it does not have to put a force on the weirdness, it is good that the operation feeling of the racket does not blur.